Motor Skill Development for Toddlers – Everyday! Babies grow up so fast! In what feels like the blink of an eye, our little ones develop from crying, eating, sleeping machines into mini-adults who are talking (somewhat), walking (sort of), and becoming more self-sufficient by the day. Part of this learning process involves exercising control of themselves and their surroundings–practicing everyday tasks until they are able to perform them independently. Development of gross and fine motor skills is an essential step to preparing your child for their future experiences. It’s easy to get in the habit of helping your child with little tasks, like zipping up their coat or opening the door. You know the scene: you’re in a rush to get out of the house in the morning, or trying to prevent an impending meltdown. We’ve all been there! If you are able to plan for an extra two minutes into your morning routine to allow them time to dress themselves, these brief exercises in independence will go a long way. Try to identify other parts of the day that allow opportunities such as these. For example, forget about the mess, and encourage your child to feed him or herself whenever possible. Your child will begin to build a foundation of confidence that will prove very helpful in their development. At Little Sprouts, we firmly believe in play-based learning. While the above examples are great ways to incorporate learning in your child’s daily routine, you can also integrate gross and fine motor skill development into playtime! Many toddler toys are designed with milestones in mind, such as busy boards, sorting toys, and art activities. Variety is important in developing both fine and gross motor skills – introducing your child to activities that require large and small movements and encourage hand-eye coordination will keep them engaged and stimulated. • Sorting games: provide your child with a variety of multi-colored objects and corresponding colored jars (use tape to or colored paper to label each jar). Demonstrate placing the objects into the jars–they’ll be learning while working on fine motor skills! • Craft a necklace: Placing beads or dried pasta onto a string or pipe cleaner develops motor skills and concentration, while emphasizing creativity. • Make your own Play-Doh: There are many recipes found online for homemade Play-Doh (even edible varieties for the little ones who can’t resist a taste test!). Both the acts of mixing the dough together and using it to create are great practice for motor skill development. 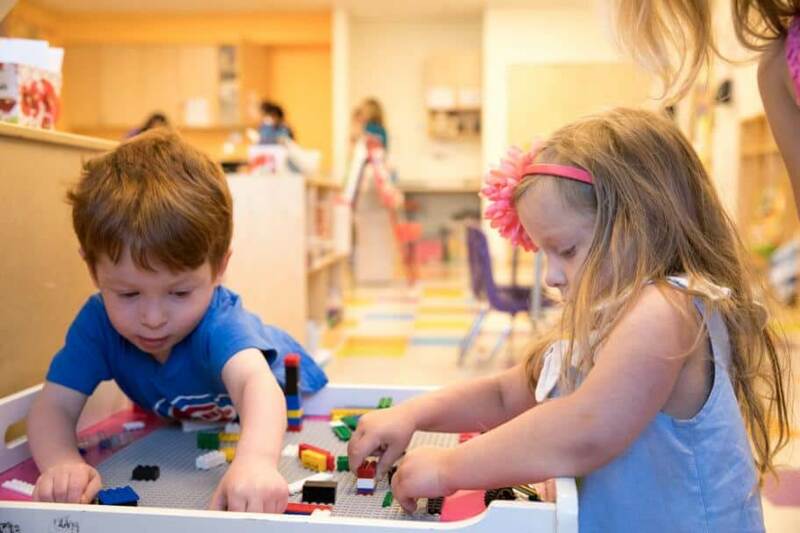 Choosing an early childhood education program that emphasizes motor skill development is a great way to keep your child engaged and curious throughout their development. A school that provides environments rich in manipulatives and physical programs will ensure your child is learning more about the world around them every day. At Little Sprouts, we encourage motor skill development with our Budding Scholars approach. From daily sensory activities ingrained into our curriculum to designated times of the day devoted to exploring our playgrounds and racing around our gross motor rooms, many safe outlets are provided for little ones to explore the world around them, and their places in it. Visit one of our schools to see it for yourself!